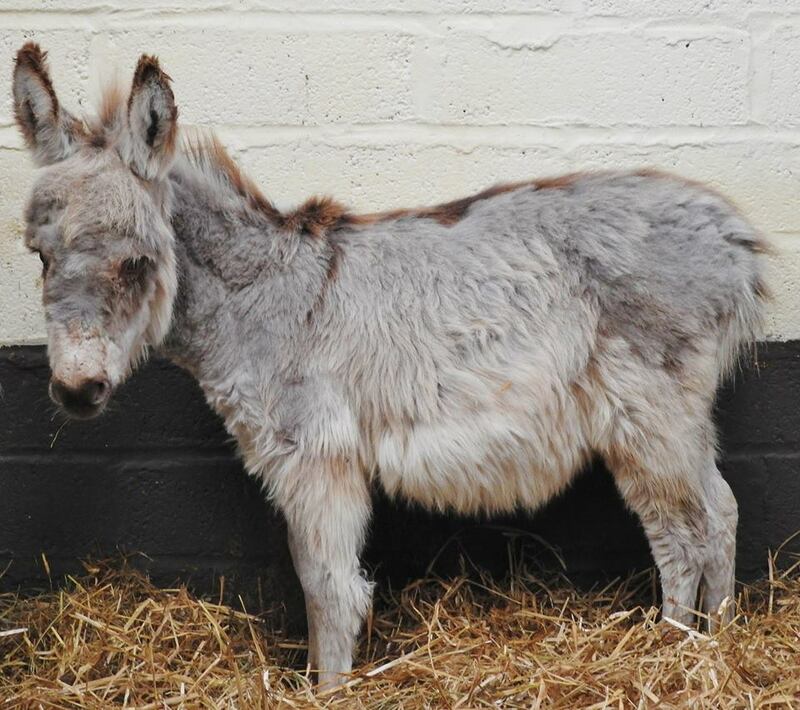 Two little donkeys have been saved from an uncertain fate by Penryn-based donkey sanctuary, The Flicka Foundation. A small team from The Flicka Foundation jumped into action to save two young donkeys from a live animal market in what turned out to be a traumatic rescue. As the donkeys were being transported to safety, the charity’s horse lorry broke down and they had to be swapped into a trailer by the side of a busy main road on a dark, stormy night. The frightened animals were likely torn from their mothers by a dealer and experts at Flicka estimate one of them to be as young as 7 weeks old. Donkey foals don’t naturally wean until they are around 6 months old and are emotionally dependent on their mothers for many months to follow. The Welfare of Horses at Markets Order of 1990 makes it an offence to sell foals under 5 months old without their mothers. The tiniest foal, who has been named Paddington, was very sick and collapsed on arrival at the sanctuary. He is now receiving lots of loving TLC, but is underweight and undernourished. He also has a serious eye infection and needs treatment for lice and rainscald due to the neglect he has suffered. Paddington and his young friend, Penny, are now safe at The Flicka Foundation, but they will require weeks of specialist care and attention, veterinary treatment and milk formula. The charity currently cares for around 70 donkeys and 25 horses; many rescued from conditions of abuse and neglect. Each individual now enjoys a relaxed life at the sanctuary, with spacious paddocks, cosy stables and equine company. Caroline Quentin, Paul O’ Grady and Felicity Kendal are all patrons of the charity.